Recently I’ve spent an immense amount of time exploring a style of music that has always been around in the back of my head, but has spent little time on my MP3 player. Many years back, Brian, our keyboardist lived with a friend of ours in Sunnyvale. It was a great house, and in fact acted as homebase for our van and late night gaming sessions screaming to “Dead Space” early into the morning. The owner Matt, got married, and to be closer to his wife (who had a fancy bio-tech job working for a guy named Dr.Moreau. I guess he lived on an island or something. We really never saw her again.) he had his job with Google moved to Germany, as his wife lived in England for the time being. Needless to say there were years where Matt didn’t come back. And because of the nature of the move, a lot of his stuff remained behind. Especially things that weren’t necessary to his survival in Germany (Lederhosen, Schnitzel, Tubas, Sausage ett.). Matt always had this spectacular music collection as his house, stack in these awesome wooden shelves he had made (he was a super creative dude, and had tons of carpentry tools and machines in his garage) for the living room. Before he left he told me something along the lines of “You have my permission to listen to, and rip any of this music to a hard drive! I want it listened to!”. And listen to it I did. I found a lot of great music in that collection, and it certainly expanded my music horizons to a bigger degree. He had Blues music, Prog-rock, Country, Blue Grass, Japanese Surf Rock, Classical, Folk, and Bambara Blues (which would start me on my journey). 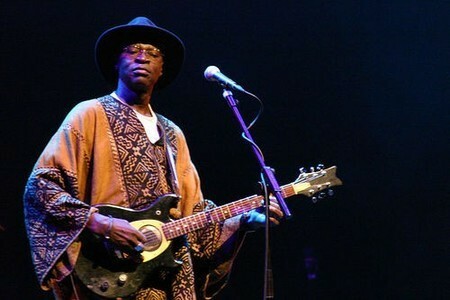 One of these artists was a guitarist from Mali by the name of Ali Farka Toure. I listened to him non stop! His swirling, lightening speed guitar work was like nothing I had ever heard. It was a mixture of American Blues and African Folk Music. Yet there was this twist that was totally unique to the style. From what research I could do, I found that this style was called Bambara Blues music, and it came out of a long tradition called Griot, which is the West African equivalent of a Bard. Someone who keeps an oral tradition, through poetry, or music. From this one artist a world of music was opened up to me. There was a rich, vibrant, intense and fantastic world of music happening in the North Western portion of Africa. From there I learned about Boubacar Traore, the Bob Dylan of Mali, Amadou & Mariam, Viuex Farka Toure, and a myriad of other Malinese guitarists, and musicians. But one day, this vein of music led me to a name, that although at first didn’t mean anything, but eventually had interesting affect on me later. Whenever I would look up youtube videos, articles, interviews, or documentaries about these Malinese guitarists or singers, I’d always find links or related videos to this group Tinariwen. 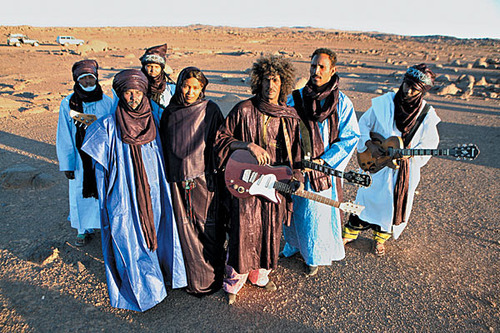 Being ultra-focused on Bambara blues I didn’t spend much time looking into this musical group Tinariwen. In fact, I pretty much just stuck with Bambara and Griot music, not wanting to get lost down a variety of musical rabbit holes. But something ended up changing. I’m not exactly sure how I found him exactly. 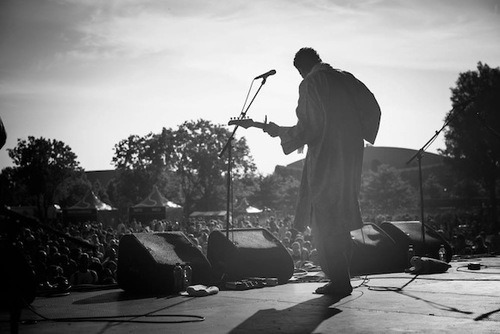 It could have been youtube, or Spotify, but I stumbled across this artist Bombino. He was this young guy, clad in flowing robes, and a long desert scarf. His guitar riffs were electric. Like Jimi Hendrix and a band of Bedouin warriors rocking on the desert dunes. It turns out, this young guy, Bombino, was a Tuareg. Most people think of a car when I say the word Tuareg to them. But now, when I say that word, I think of swirly sands, dunes the size of small buildings, endless desert, and now Assouf. You see, the Tuareg people are an ethnic group that I think the West doesn’t completely understand, or even see often. Whenever I’ve seen Tuareg in the news, it’s always regarding conflict, or strife. Beyond that, they are a mysterious word, with very little explanation or background given, and even less regard. This is a huge mistake I believe. After having listened to Bombino but once, I was hooked. His album was fantastic. It was produced and engineered by Dan Auerbach of the Black Keys, and I could hear their unique take on gritty blues all over the album. But what stood out was Bombino’s interesting style of music, and specifically style of guitar. However, after some time, this word, Tinariwen kept popping up. Something clicked and I realized that Tinariwen were also Tuareg, the blue people of the desert. In their native tongue, they are the Kel Tamashek, or simply the Tamashek. The Tamashek (Tuareg) are a nomadic, desert people, with no solid country of origin. Fiercely independent, the Tamashek inhabit of a swathe of the Sahara that runs through, Libya, Algeria, Mali, Niger, and Burkina Faso. Ethnically Berbers, they look to us more middle eastern than their darker skinned African neighbors, who have a completely different culture and ethnic tradition. Serious strife has rocked that part of the world for a while now. 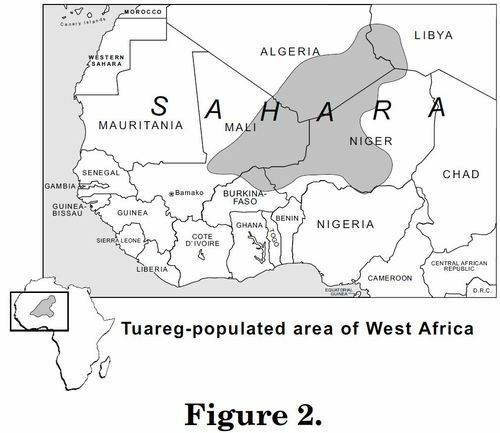 Ethnic tensions, drout, political upheaval, racism and unstable economics have lead the Tuaregs to lead rebellions and uprisings against the government of Mali, who they perceive as a very unfair, unjust, and oppressive regime to the Tamashek people. Out of these hard times, which have included exile and mass fleeing’s from the Tuareg land, a culture of sorrow had developed in the Tuareg. Guitar quickly became an icon of Tuareg resistance. 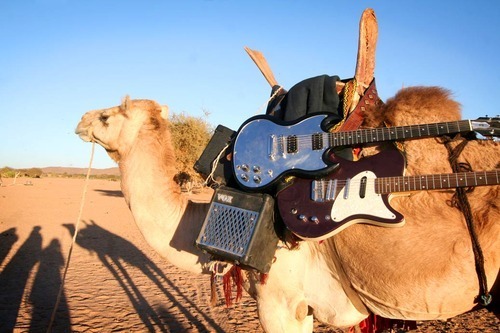 So much so, that in Niger, the government actually made it illegal at one point for Tuareg people to play guitar! This led the way to a form of music known as Assouf. Pioneered by the founding member, and vocalist of Tinariwen Ibrahim Ag Alhabib, this style was a mixture of our pentatonic blues music, and the cultural folk music and flavor of the Tuareg people. In it’s execution it can be relatable to our Folk music, in that it is played with your fingers, and not with a guitar pick. This allows for a drone, or bass note to be played, while riffs or leads are played above it. But Assouf goes so far beyond just a style. It truly is a way of life. Assouf can be translated very, very roughly to “Blues”. In Tamashek it means many different things. Sorrow, longing, sadness, loneliness, nostalgia, and a variety of other ‘blue’ words. The blues of the desert. In fact, it is even called Desert Rock, or Desert Blues. What I find so interesting about this style, beyond the exotic beauty of the music itself is the tradition and history of it’s players. 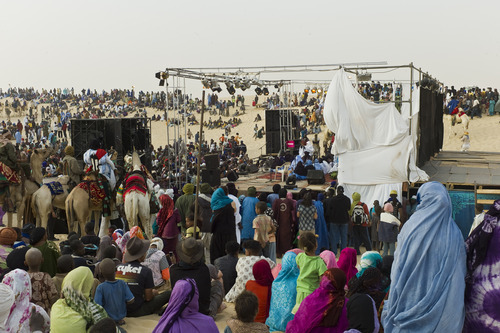 Many of the members of these Assouf bands, at one point or another were part of these Tuareg rebellions, and in fact the band has taken hiatus’ in the past because of this very reason. 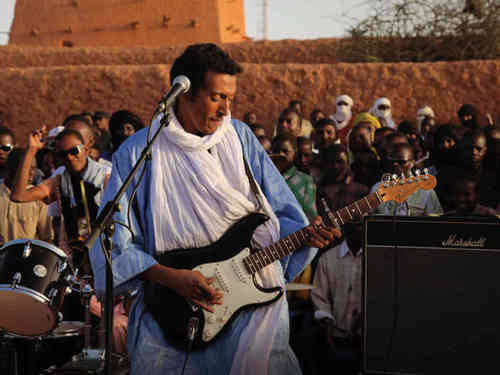 Even Bombino’s original bassist was killed by soldiers of Niger in one of the terrible clashes and acts of repression brought down on the Tuareg by the various governments throughout Africa. There is so much more to this style. The depth, history and richness, in my humble opinion, is absolutely staggering in comparison to modern indie rock, and the world of music that I take part in every day. Culture, identity, and struggle are so closely intertwined in Assouf, it leaves one feeling a bit vanilla at the end of the day! Regardless, I would highly recommend you check out the aforementioned musicians and bands, and take a listen to a style that is linked to our Rock origins, but has taken a steep right hand turn deep into the desert.